Peruvian food is simply exquisite, with it’s constant juxtaposition between hot and cold, acid and salt, hardy and delicate. Peruvian dishes are easily one of the most exciting cuisines in the world. The indigenous ﬂavours simply can not be replicated. Peru has taken on techniques from Africa, Spain and even east Asia, blending them seamlessly with their ancient Peruvian techniques, to create something completely unique. While foods such as Quinoa and Pisco cocktails have migrated to other parts of the world, the best Peruvian dishes can still only be found within the borders of their home country. 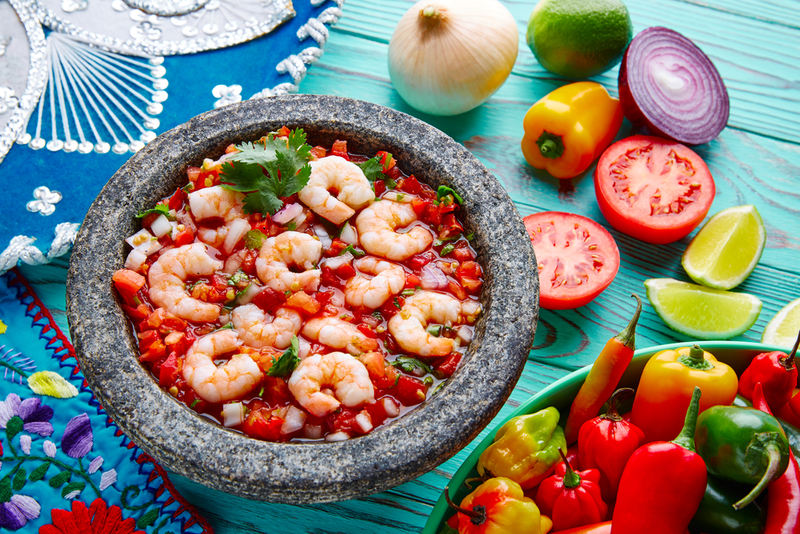 Read on and get to know the The Top Peruvian Dishes you definitely must try. 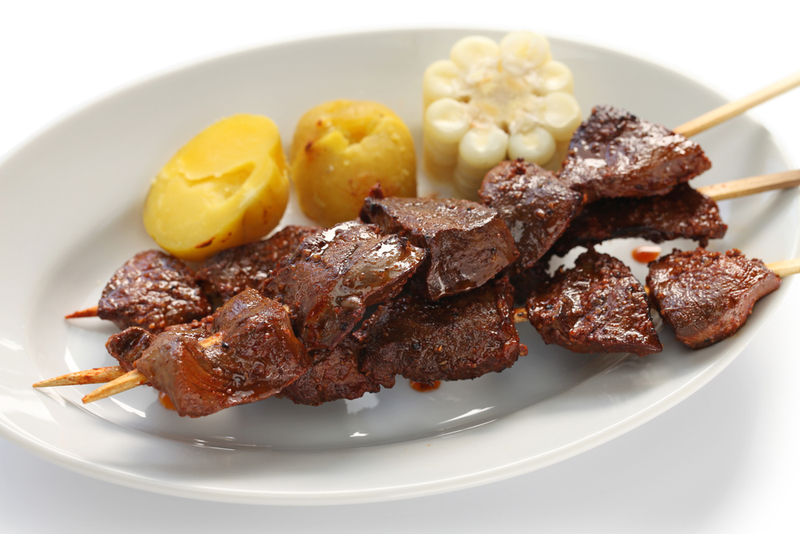 One of the many famous Top Peruvian Dishes are Anticuchos. These are skewers of meat, marinated in spices and smoked chillies, that are then brazed very much like the more commonly known Shish Kebab. You can ﬁnd them served up in high-end restaurants as appetisers, or slathered in delicious sauces and sold from street-cat vendors. Any meat can be used to make these tasty skewers, but the most traditional are Anticuchos de Corazon, beef heart. The dish is said to originate from Afro-Peruvian culture, when Spanish conquerors would eat the best cuts from a cow, and leave the offal (heart and other organs) for their African slaves. Anticuchos Meat Skewers. Photo credit: Shutterstock. 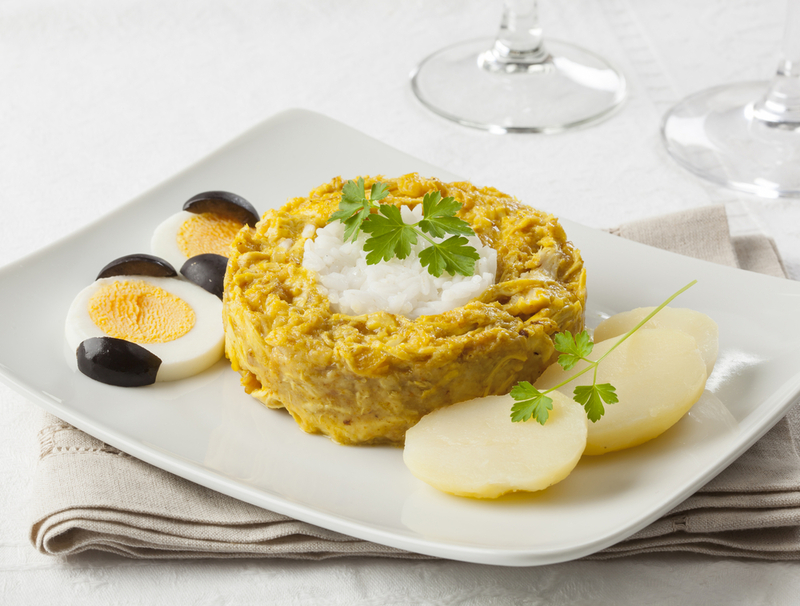 This is Peru’s national dish, and can be found in a variety of forms, but the most common, and most delicious version is in Lima. This zesty, fresh and extremely healthy dish has been claimed by many countries, who commonly mix it with shrimp, cucumber and octopus. However, Peru created the original Ceviche with a delicate mix of only 5 ingredients; sea bass, lime juice, onion, salt, and of course, chilli. Peruvian Ceviche is usually served with a crunchy corn called Choclo, and creamy sweet potato to balance out the acidity of the dish. This dish’s origins are over 100 years ago, when Peru was at war with Chile, and the only abundant food was said to be potatoes. The wives of the soldiers would make large vats of this dish and send it to the troops ‘for the cause’, hence the name Causa. The basic layers of this lasagne-esque dish are potato and avocado, with each region of Peru adding other layers such as tuna, tomato, chicken or hard-boiled egg. One thing that never changes is that this dish is always served cold, making it perfect for a salad course or side dish. 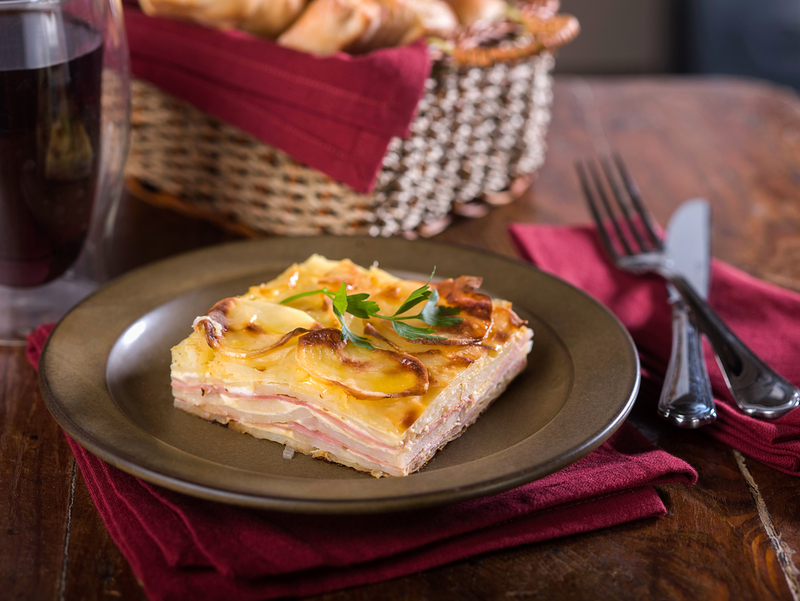 Causa Potato Casserole. Photo credit: Shutterstock. This creamy, warming, yellow sauce is a favourite in all Peruvian households in winter, and it’s no surprise why. Aji de Gallina is a perfect blend of cream, ground walnuts, parmesan, onion, garlic, de-crusted bread to thicken, and amarillo chile to give it a slight kick. The chile is perfectly offset by the cream and nuts, whilst still being able to add an extra dimension to the dish. This sauce is most commonly mixed with shredded chicken and served with rice and potatoes. Aji de Gallina. Photo credit: Shutterstock. Another famous dish in the list of Top Peruvian Dishes is Cuy. 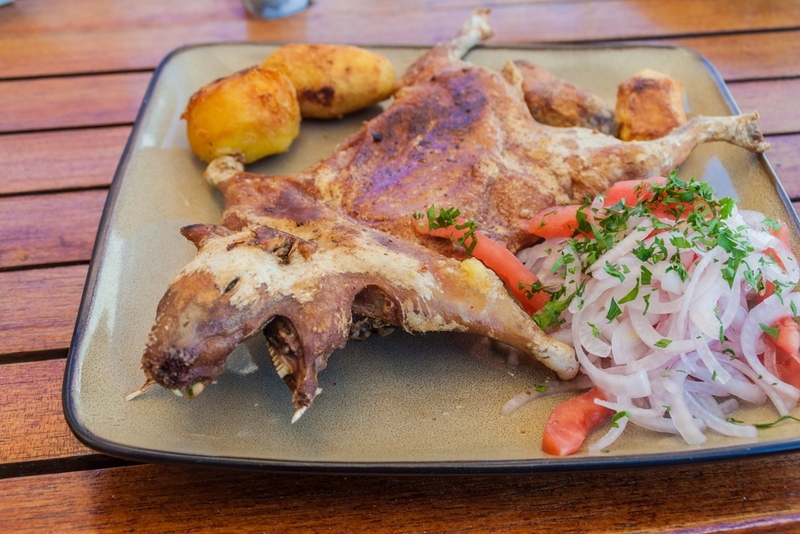 Yes the rumours are true, one of the most traditional dishes to eat in Peru is baked or barbecued Guinea Pig. This is a staple meat in most Peruvian households and is usually served whole, often with the head still attached. Although this dish may be slightly off-putting to westerners by sight, the taste is actually like that of a well cooked wild fowl or rabbit. Traditionally this dish is stuffed with herbs before cooking, served with ﬁre roasted potatoes and Aji dipping sauce, and eaten by hand like a large chicken drum stick. This dish is not one for the faint hearted. Don’t be fooled by it’s lovely red appearance, this is not the sweet little bell pepper you’re used to. This is a Capsicum Pubescens, a ﬁery chile around ten times as hot as a Jalapeño when eaten raw, luckily this dish heats it up, reducing it’s overwhelming heat. This pepper is stuffed with ground beef, onion, garlic, olives, raisins and herbs, then topped with a cooling cheese, baked in a creamy egg sauce, and served whole. 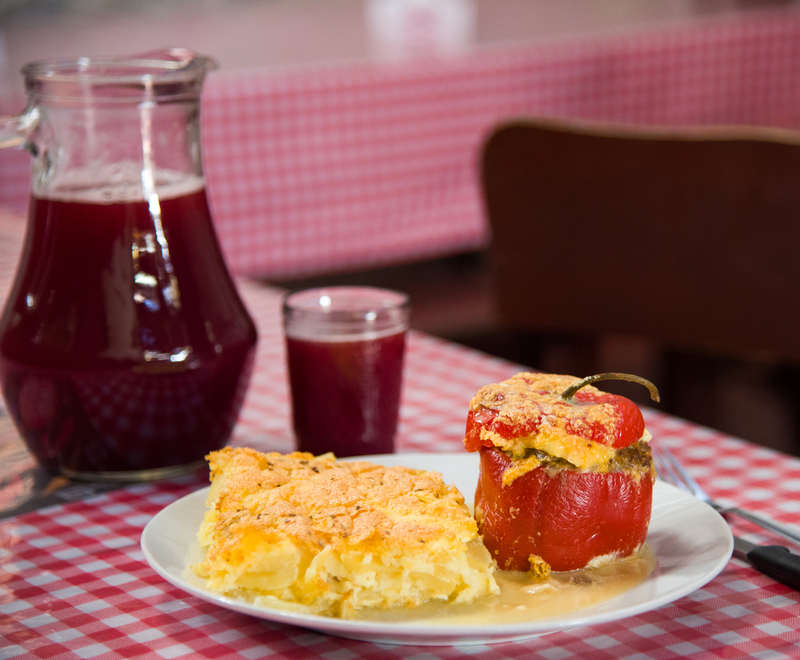 Rocoto Relleno is hard to ﬁnd outside the borders of Peru, and so is the dish most homesick Peruvians crave when travelling. For those of you with a sweet tooth you’ll be sure to love the Peruvian take on the doughnut. 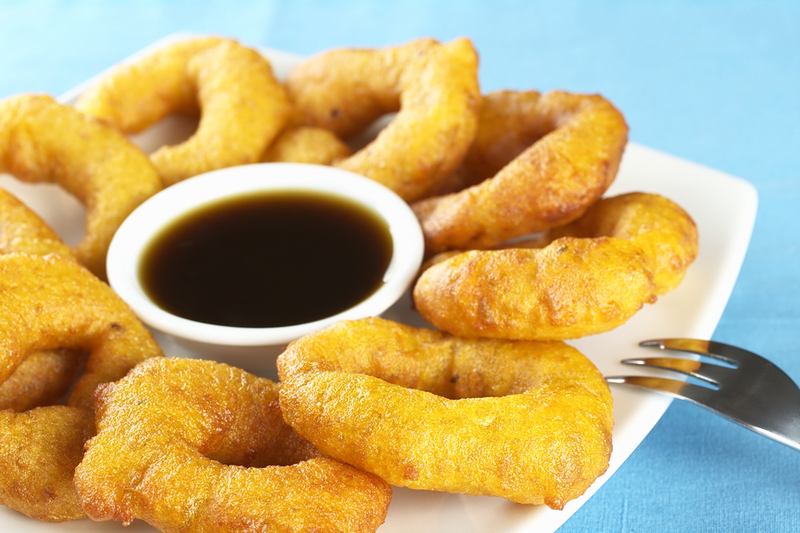 These delicious rings originate in Lima, and are made from deep-fried green squash called Zapallo Macre or sweet potato. Picarones are spiced with aniseed and cinnamon and are then drizzled with passionfruit, sugar or ﬁg. You can ﬁnd this treat in street-carts as a snack, or in restaurants as a desert with a difference. Did those mouthwatering Top Peruvian Dishes get you all in the mood to visit Peru? Chimu adventures offers a wide variety of trips to this country with exquisite food, beautiful heritage and stunning nature. For more information click here.